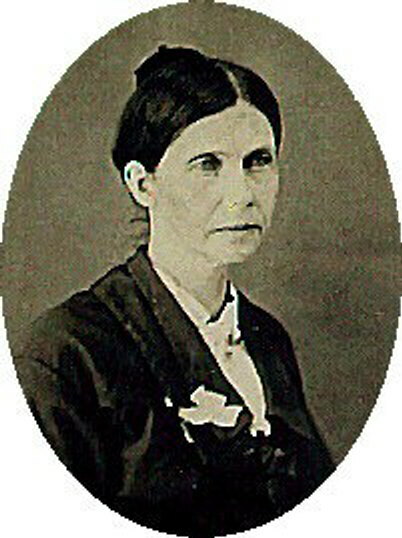 Mary was born on August 23rd, 1833 in Newmarket Twp, Highland County, Ohio. Mary's father was William Hanby Ambrose Jr and her mother was Rachel Gibler. Her paternal grandparents were Rev. William Hanby Ambrose and Susanna B. Crum. She had a brother and five sisters, named Henry, Susannna, Lizzie, Leah, Sarah and Catherine. She was the oldest of the seven children. She died at the age of 83 on August 17th, 1917 in Kansas City, Missouri. She was buried in Independence, Kansas. Kay Roberts Martin relates this family story. At the age of 70, Mary Jane decided it was her time to die. She went upstairs and went to bed, and stayed there until she did die -- 14 years later. Her daughter, Mary Belle Rizer Roberts, had to take care of her.